So I have no idea what games people that went played this week. At least Bang, Lost Legacy, Codenames and, I think, The Resistance. Although almost definitely lots more. 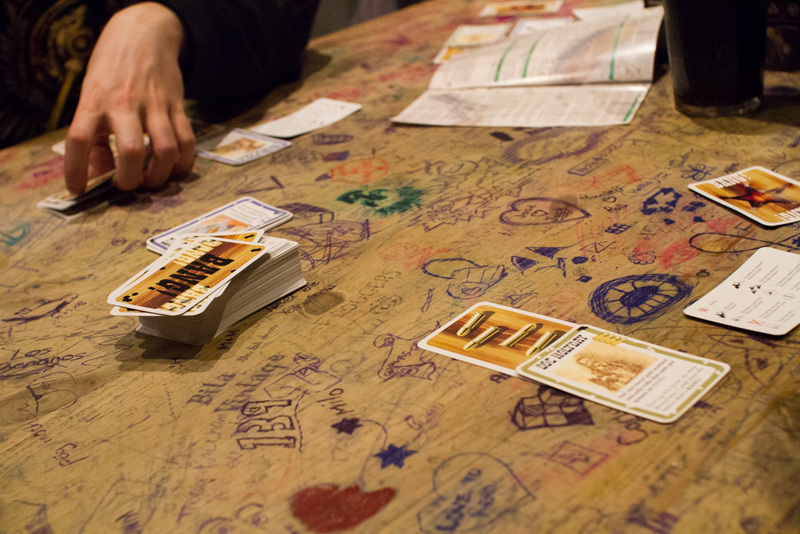 So I finally got round to playing Tragedy Looper. I dunno if it's just me being dumb but I found the rules pretty confusing. About half way through I got the hang of it. Basically if the mastermind doesn't manage to kill someone in a loop we win. At least for the scenario we were playing. The game is pretty much 90 percent deduction and 10 percent luck. Luck must have been on our side because we managed to deduce who the killers were and guarantee a success, moving everyone away from them. It was a strange game of confusion and cross referencing. I'd probably enjoy it more the second time now I actually get what's going on. 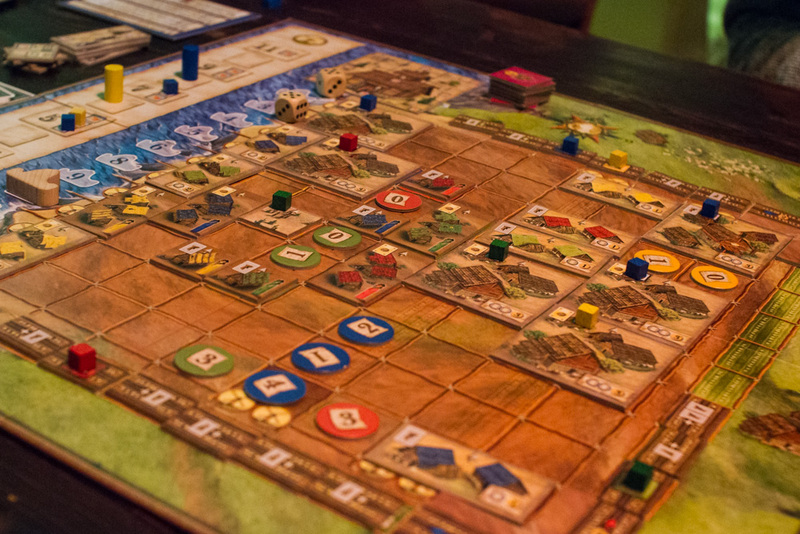 Afterwards I played Elasund: The First City. If my board game history is correct, when the guy that made Catan first made Catan it was a much more complicated game but the publishers made his simplify it. Elasund is kinda all the stuff that he took out. And it feels like Catan for sure. Again there's dice rolling and if a 7 comes up bad stuff happens. But instead of placing roads and buildings you're placing walls and, urm, buildings. We let Dan get a big lead and tried in vain to stop him all too late. He hit the victory condition when everyone else was about half way there. More board gaming nonsense next week!